Where to Buy Brexil Fe, Brexil Fe 10% Soluble Micronutrient Microgranules - 5 Lb - $44.95 for Sale with Fast Free Shipping! Brexil Fe 10% Soluble Micronutrient Microgranules - 5 Lb is an iron based product designed to treat and prevent iron deficiency in all crops. Brexil Fe 10% Soluble Micronutrient Microgranules - 5 Lb is an iron based product designed to treat and prevent iron deficiency in all crops. The ligninsulfonate (LSA) derived ligninpolycarboxylic acid (LPCA) in BREXIL Fe allows for quick absorption of iron into the plant. Brexil Fe 10% Soluble Micronutrient Microgranules-5Lb (100% LPCA chelated) of water-soluble micro-granule micronutrients are characterized by improved plant availability, handling convenience, shelf-life stability, high solubility and tank-mix/low spray volume compatibility compared to other products on the market. 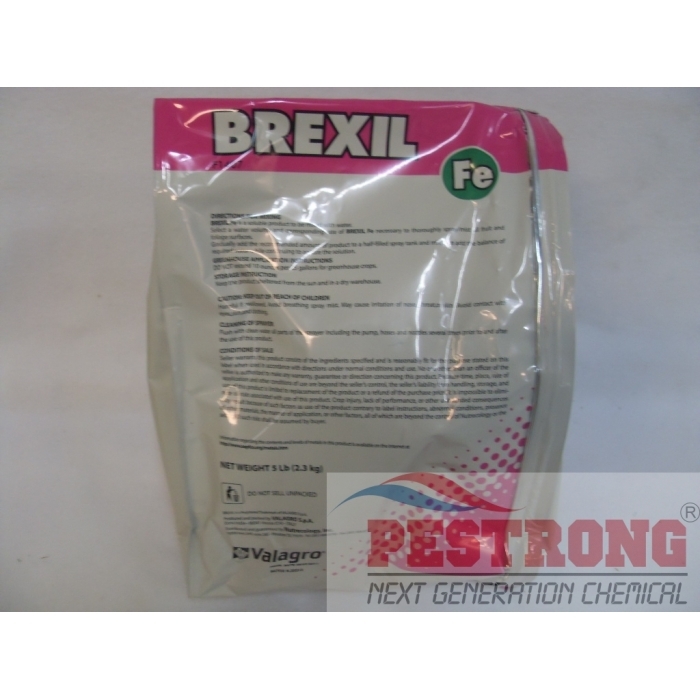 BREXIL Fe is a microgranule product that is completely water soluble. BREXIL Fe is only recommended as a supplement to a well balanced fertilizer program. Rate : 16 ~ 32 oz per acre per 100 gallons of water for most field, crops, ornamentals.